In August, Facebook introduced a hugely controversial data sharing plan to start harvesting data from its WhatsApp messaging app from September 25 for delivering more relevant ads on the social network. 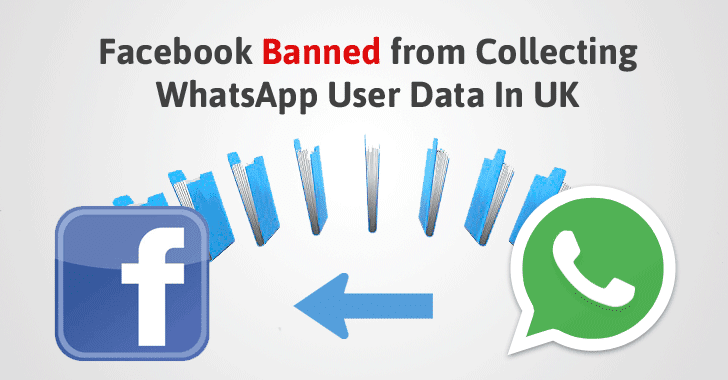 Many users were not happy with the move, because there was no real way of opting out from the data sharing – WhatsApp users could only do so within a short period – and even if users did opt out then, some data would still be shared. Eventually, some countries like Britain stood up and opposed the decision. The Information Commissioner's Office (ICO) of the United Kingdom has asked Facebook and WhatsApp to better explain the changes to its customers in the U.K. And if they don't, the ICO could hand out a heavy fine. In response, the social media giant has agreed to "pause" sharing of data, including their phone numbers, between WhatsApp and Facebook in Britain to target advertisements on its core social network. "We have now asked Facebook and WhatsApp to sign an undertaking committing to better explaining to customers how their data will be used, and to giving users ongoing control over that information," Elizabeth Denham, the Information Commissioner, wrote in a blog post. "I don't think users have been given enough information about what Facebook plans to do with their information, and I don't think WhatsApp has got valid consent from users to share the information." When Facebook announced this deal late August, Denham said she would investigate the changes to the Britain's data protection laws, and has now issued an update revealing the social networking giant has agreed to hold off data sharing from UK users. Denham said that its users right to have control over their data and she now wanted Facebook and WhatsApp to let users restrict access to their information beyond the existing 30-day period, and let them completely opt-out of the agreement at any time. When Facebook acquired WhatsApp for $19 Billion in 2014, users were worried about the company's commitment to protecting its users' privacy. But, WhatsApp reassured them that their privacy would not be compromised in any way. But after the deal, the WhatsApp users felt betrayed by the company. Neither Facebook nor WhatsApp has yet responded to the Information Commissioner's announcement.